This item was sourced from the archives of the Telecom Digest. They were both responses to the question from Donald E. Kimberlin "Does anyone know the date of the first undersea cable between the USA and Europe/UK?" posted to alt.dcom.telecom in 1994. They are a in permanent file in the Telecom Archives /history sub-directory. The answer is about 1870. The first trans-Atlantic cable was run between Ireland and Newfoundland in 1856-57, and signals were passed along it on 16 August 1857, but it was operated at voltages too high for the insulation it used and it failed a month later. The first trans-Atlantic telephone cable, TAT-1, was laid in 1956.
here's a cronology of Telegraph, Telephone and Radiotelephone, the three services reaching across the Atlantic before the 1960 Echo satellite. Any good history of each service will have more details. 1837 - Charles Wheatstone patents "electric telegraph"
1844 - Samuel Morse demonstrates "Morse code" -- but this is the old version, where a number is assigned to each possible word. Alfred Vail helps him later with a "variable-length letter code". 1847 - Gutta-percha (an inelastic latex) is discovered. It serves as a reliable insulator in water (reliable, but not great capacitance). 1849 - England to France telegraph cable goes into service -- and fails after 8 days. 1850 - Morse patents "clicking" telegraph. 1851 - England-France commercial telegraph service begins. This one uses gutta-percha, and survives. 1858 - August 18 - First transatlantic telegraph messages via wire. Cyrus Field (a 35-year-old retired merchant) & John Pender formed a British company, "The Atlantic Telegraph Co." The cable deteriorated quickly, and failed after 3 weeks. 1861 - First USA transcontinental telegraph cable begins service. 1868 - First commercially successful transatlantic telegraph cable completed between UK and Canada, with land extension to USA. (Lack of repeaters & cable capacitance in insulation restricted the cable to 2 words/minute -- signalling speed was inversely proportional to square of length, per Lord Kelvin's prediction. A "siphon receiving" mechanism raised that rate to 20 WPM in 1870. Even 2 WPM beat the next fastest method; 10 days by steamship.) Also, Werner Siemens patents a keyboard perforator for Morse code. 1874 - Baudot invents a practical Time Division Multiplexing scheme for telegraph. Uses 5-bit codes & 6 time slots -- 90 bps max. Rate. Both Western Union and Murray would use this as the basis of multiplex telegraph systems. 1876 - Bell patents telephone. 1877 - Bell attempts to use telephone over the Atlantic telegraph cable. The attempt fails. 1883 - Test calls placed over five miles of under-water cable. 1884 - San Francisco-Oakland gutta-percha cable begins telephone service. 1910 - Cheasapeake Bay cable is first to use loading (inductor) coils underwater. Contained 17 pairs of 13-gauge conductors. 1915 - USA transcontinental telephone service begins (NY-San Francisco). (Used 2500 tons of 8 gauge copper on 180,000 poles, with loading coils every 8 miles. Three vacuum tube repeaters were initially used -- by 1918, that was increased to 8 repeaters. In 1920, all loading was removed and 12 improved repeaters installed. This resulted in doubling of the bandwidth (to 3 kHz), halving of the loss and a 3.5-fold increase in propagation speed. The reduction in echo was very obvious.) (A 3-minute call was $20.70) 1921 - Key West-Havana cable begins service, using continuous loading via "permalloy" wrap and a blend of rubber and gutta-percha. 1928 - Design of a continuously-loaded Newfoundland-Ireland cable begins, as a joint AT&T-British Post Office project. The planned loss was 165 dB over 1800 miles. It used 4 layers of Perminvar tape for loading. Manufacturing in Germany began in 1930. The Depression caused all work to be abandoned. By the late 1930s, submerged repeaters and multiplexing promised more circuits at the same cost. 1947 - Polyethylene replaces rubber & gutta-percha as preferred insulator. 1949 - "SB" submarine cable developed by AT&T, using polyethylene + 5% butyl rubber dielectric. The cable was made up of a core of several dozen steel wires, covered by a copper tube, then about .2 inches of dielectric and another copper tube, covered by a plastic jacket and armour. 1950 - Repeatered SB submarine cable used on Key West-Havana route. 1952 - Joint AT&T-BPO meetings at Dollis Hill lab to begin transatlantic cable project. 1953 - Canada (Canadian Overseas Telecommunications Corp.) joins in project, along with Eastern Telephone & Telegraph Co. (AT&T's subsidiary in Canada). 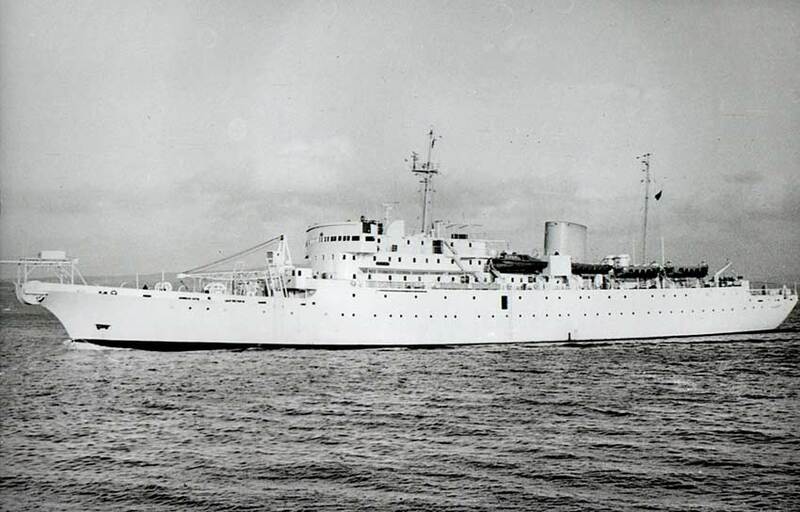 1955 - June 28, HMTS "Monarch" leaves Clarenville, Newfoundland laying cable. After weathering Hurricane Ione, it reaches the Firth of Lorne in Oban, Scotland on September 26. 1963 - First cable from New Jersey to England. 1965 - First cable from New Jersey to France. 1920s- Catalina Island telephone service to mainland via radio system. Replaced by cable in 1923 so frequencies could be used for broadcast. For 6 weeks, a "privacy" system was tested, using inverted sidebands and a "wobbling" carrier. Later systems used 4 or 5 "bands", re-ordered before transmission. Some bands were inverted. The band arrangement was changed a few times per minute, in synch. 1921 - British "Marconi Co." offers 3 MHz calls between England and Norway. 1923 - Amateur radio proves that high frequency radio can reach long distances (sometimes). Transatlantic transmission demonstrated. 1929 - HF radio begins commercial transatlantic service (2 circuits!). Transmitters in Lawrenceville, New Jersey and Rugby, England; receivers in Netcong, New Jersey and Baldock, Hertfordshire. (Calls used which ever radio system was working "best" at the time. By 1931, HF was the choice 80% of the time.) 1930 - HF radio service begins to Buenos Aires. 1931 - Dixon/Point Reyes, California radio begins transpacific service. 1932 - Florida sites begin Caribbean & Central American service. 1937 - USA can call 68 countries via HF radio -- 93% of the world's telephones are interconnected via wires & radio waves.